First we will start with Cole... my great nephew. He was the youngest at dinner and the life of the party! He loves his riding horse. Jessica shopping online! Mark messing with Cobi but when he stopped Cobi tells him that felt GOOD! And then there is the other life of the party...Mark. Here he is trying out Cole's horse! After dinner Sean takes a couple of apples out to feed Misfire. And here Sean just got the ball away from Oakely. Cole's favorite past time when he is visiting his grandpa....riding the tractor. Only here he is just playing on it. And of course the two older boys, my nephews Sean and Cobi are playing on it with Cole. T.J. the loud mouth bird. He kept voicing his thoughts on all of us having fun but him. Holly aiming at T.J.... apparently this is the dart gun that they aim at him to shut him up. No Holly did not shoot him.... she wanted to but she would never hurt anything. A ride from great uncle Mark. But he is not sure he wants to be up there. Oh my goodness at the food! Course I started taking pics with the desserts! Yummy....but I actually ate my meal before jumping into this stuff. Homemade apple pie by my sis in law, Lori and her mom Eva. Something else yummy made by Eva. The meal was awesome. Smoked turkey by my brother Ray and mom brought ham. So full afterwards! This is my niece Jessica and her baby Maggie. In my family it is really hard to get a good pic...everyone loves to make a face. This is Cobi my nephew. The master cook, my brother Ray. And his lovely assistant, Lori. My nephew Sean after finishing a whole plate of food. Cobi again (picture hog...lol) and my great nephew Cole. My mom and sis in law, Kim. Susan, married to my nephew Chase and Cole's mom. Little late on getting this event posted on my blog. But better LATE than NEVER. 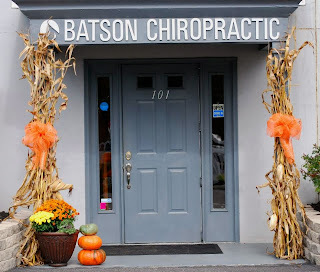 I was asked about a year ago to photograph my chiropractor's office and staff for office photos and website. I was honored to do that. Recently I was contacted and asked to shoot an event for them~ They were having their first annual fall festival! I was there with camera in hand. This is the man that started his chiropractic group, Dr. Batson. He is so caring and giving and he does things to give back to the community. Let the fun begin! Oh my gosh, isn't she adorable? There was a pumpkin painting event for the kids. I saw many kids concentrating so hard to get the look they wanted. ZUMBA event. And NO, I did not try this!